It's the best time of the year - not only because it's the holidays but because of all the wonderful treats! 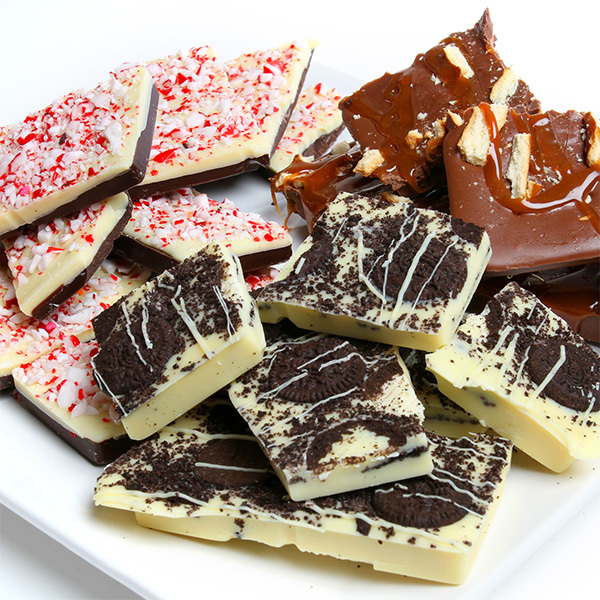 Chocolate bark is no exception and this gourmet collection makes the perfect holiday gift this year. Your lucky recipient will get to choose between three gourmet flavors: classic peppermint, Belgian milk chocolate bark with caramel and pretzel pieces, and white chocolate Oreo®. There's something for everyone!